Novak Djokovic, who is bidding to become year-end No. 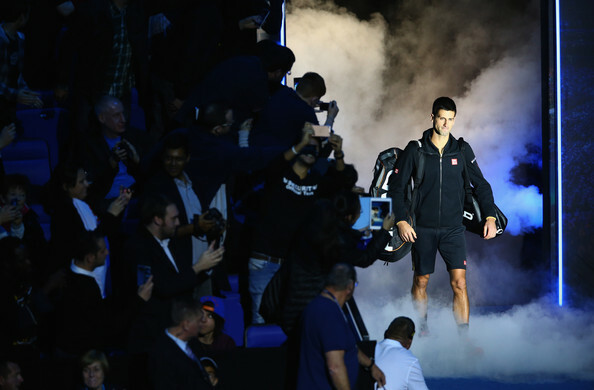 1 in the Emirates ATP Rankings for the third time, began his quest for a fourth crown at the season finale on Monday. 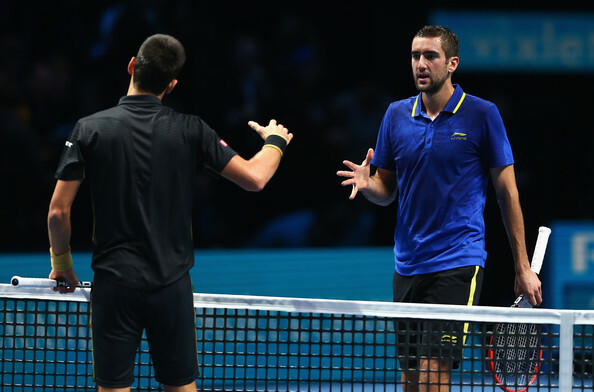 Djokovic remained perfect against Marin Cilicwhen he recorded a 6-1, 6-1 win against theBarclays ATP World Tour Finals debutant in 56 minutes during the evening session. It was his 58th match win of the season. Djokovic came through a 10-point second game, but thereafter was rarely pressed by this year’s US Open champion, who was broken three times in the 27-minute first set. Djokovic dropped his serve to love at 2-0 in the second set, but immediately regained his composure to improve to 11-0 lifetime against Cilic, who committed 22 unforced errors. It was Djokovic’s 16th victory against a Top 10 opponent in 2014. He is unbeaten in 11 matches at the season finale, where he is a two-time defending champion. "It's been a great, great match," said Djokovic. "I haven't played here for 12 months, it's great to be back. It was a great performance. "Marin, as a US Open winner, has a lot of confidence, but I managed to neutralise his serve and get a lot of balls back in play, and that was part of the tactic."